The whole record is drenched in reverb as is typical of the style but it does not detract from the power of the record nor does it stand in the way of the of the individual performances as each member is easily heard. The bass gets a lot of breathing room in typical NWOBHM fashion as it follows the guitars and breaking off for little fills that are timed with the drums while the drums though owing a lot to previous Rock traditions does not impose itself on the guitars. The guitarists dazzle with their eccentric yet emotional leads and an abundant quantity of imposing riffs. Christian “Zouille” Augustin dazzles with his impressive high notes but often returns to a grittier tenor voice. Sortilège possessed all the tools that the NWONHM bands were beginning to show but had pushed the envelope even further giving them the ability to craft compositions that were beginning to leave the rock elements behind in exchange for something much more adventurous. 1). A form of pre-chorus where the tension is slightly let up in favor of a sing along moment but that then leads back to the primary motif. 2). A more developed form of the chorus that will climax into a solo that will then lead to the verse or will be extended as a final solo plays over it with the vocals attaining an emotional summit. Through the little variations on the pop format, Sortilège put to shame the hordes of British bands mindlessly going through intro,verse,chorus etc. This is not the breakthrough that bands like Mercyful Fate and Hellhammer would bring to metal arrangements and the progressive rock arrangements of Iron Maiden were just a little too meandering for Sortilège and the band wisely avoids such pitfalls. Sortilège manage to enter the notion of motif within such confines and such strategies would then be employed by Power metal bands to create cyclic songs that against all odds do possess a certain sense of progression. The melodies here are carved from the same combination of minor scale and various pentatonic variants that every band was using in this genre. What differentiates the riffs are how the band did not feel the need to resolve them but to let them fit together naturally and to let a following riff to resolve the previous riff. The riffs have an added sense of urgency due to the almost Speed metal like presentation of chugs and constant string skipping but these are not added for rhythmic gratuity but to allow for greater melodic intervals. The main melodies tend to be fairly short but are then supplemented by various endings and accommodate many leads as an integral part of the composition and not as a production technique seen in the wave of Melodeath bands that would appear ten years after this release. The vocals and lead guitar are so integral to these compositions through their constant interplay and how they supplement the chord progressions and highlight certain notes, though if one were to strip them away, the compositions would still convey their ideas effectively. 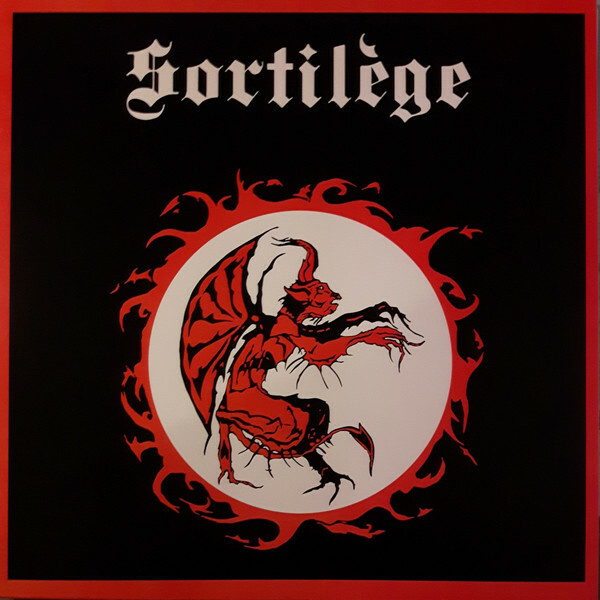 Sortilège is one of the greatest French records of all time and stands shoulder to should with the best of the NWOBHM movement alongside Satan and Blitzkrieg. France would then have to wait for bands like Massacra to produce ground-breaking metal while the rest of the metal would break off into either Speed metal or Underground metal. The short length and the infectious nature of this record do allow for multiple listens in one sitting without any problems as there subtleties that only reveal themselves over a long length of time. A truly forgotten classic that has inspired many bands and whose legacy remains an invisible hand guiding metal to greater heights. Great writing, and classic album of course. Despite being infamously bad at metal, the French HM-scene did spawn some interesting stuff in the early-mid 80s. Also for some good French heavy/speed metal check out ADX – Exécution. What? Why? France is doing quite ok on metal map, sometimes even great. Is there one country which excel at every metal genre or at least at one constantly? America. Has the most best bands in every sub genre except black metal. Agree, it definitely has the best ratio, but I tend to think of it as a constant change of guard by several different sub-ethnicities, sometimes even races. Instead of country I should have said nation (in a traditional sense). America is a continent though. Can I just recommend KRAGENS from Nice? 3 kriminally underrated cd’s about 15 yrs ago. Another classic heavy metal band from France is NIGHTMARE their debut album is a fucken masterpiece of epic romantic heavy metal. Also Nicholas, and or Brett, have you heard of Dr. Steve Turley? Trump supporter, Conservative, insightfull opinions on conservative stuff, should be featured on Amerika. The French have contributed numerous cool bands to the genre as denoted by this very site. 3 bands is a lot right ? Massacra counts as like 300 bands. Even if the French are regicides their metal is top notch. What about their next record? Do you recommend it? Glad to see Blitzkrieg get mentioned. A Time of Changes is a criminally underrated album. Motorhead embraced stadiums? lol shut up fag. I mean that’s technically not wrong since they played massive stadiums throughout their career? Not that there’s anything necessarily wrong with stadium rock ‘n’ rolling, I’ll take AC/DC any day of the week over any nowadays Metal bands.